When it comes to keeping your hardwood floor clean, you should never overlook its importance. In fact, there is a reason why it is only ideal to hire a professional flooring company to get the job done. This is most especially the case with hardwood refinishing. If you are not convinced of such idea, then perhaps the reasons below will help you understand. Obviously, this is the main reason why it is best to go pro than DIY. A professional hardwood refinishing has the seasoned expertise to navigate through angles and areas of your home. They also know the specific tools needed to cut wood flooring with extreme precision. Keep in mind that rooms, in particular, are rarely shaped evenly. Hence it can be a rigorous task to do it on your own. Give yourself a favor and let a professional do the heavy lifting. 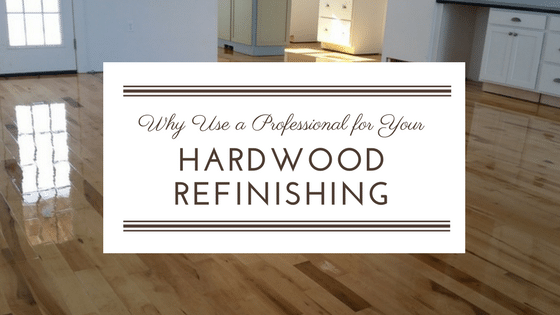 Believe it or not, a refinishing of hardwood is not an easy decision to make. There are even tough choices that will only make the decision making difficult. For instance, you would see various options in the market today, and you just find it hard to decide which one. 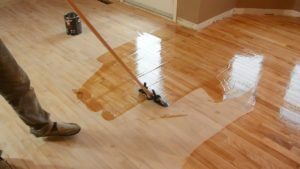 Interestingly, a professional hardwood refinishing in Kennesaw can help you make sense of all the choices presented to you. It will be easier for you to come up with the best plan for your needs. Is it not satisfying? You might have thought that restoring hardwood floors on your own would help you save money. Unfortunately, it is not. It is the other way around instead. When you perform this task on your own, you will have to identify which tools to use. And if you do not have one or two of these, it is either you rent or buy. But, at the end of the day, you end up spending money. This is not to mention the fact that it is time-consuming. This is where a professional can help you big time. He already has the skills, experience, and tools to complete the job. You, on the other hand, can just enjoy your seemingly new hardwood flooring. You read that correctly. Once you hire a professional to do the job, you will have more time to yourself. You can concentrate on doing more important things, as you have the time to do some extracurricular activities. So, instead of spending your time getting the job done, give it to a company that exercises professionalism. 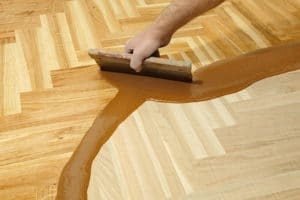 Want to know more about the benefits of hiring a professional hardwood refinishing in Kennesaw? Check us out at Innovation Floors. For years, we have been the leading company in providing hardwood refinishing. Call us now!